Looking for a home, condominium, loft, or house in a particular ZIP Code around the Portland Oregon area? There are currently 31 ZIP Codes within the Portland metro area and each can have specific searches for homes, land, multi residential, or any kind of property. Here’s a map of these ZIP Codes within the Portland metro area and below the map are specific search results for each of the ZIP Codes. 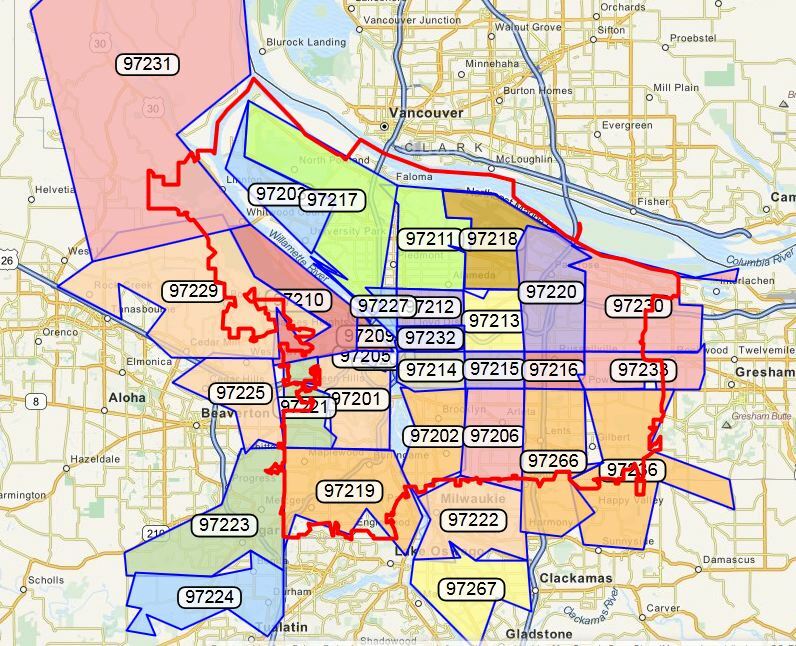 This is the majority of the ZIP Codes and neighborhoods around the Portland metro area but for a more personal level of customer service and search results please Contact Us anytime. Because I know the downtown Metro Portland area plus all the surrounding neighborhoods and towns, I can help you find the right home, in the right price range for your needs. I look forward to helping you with your home buying experience and helping you find where to live in Portland.